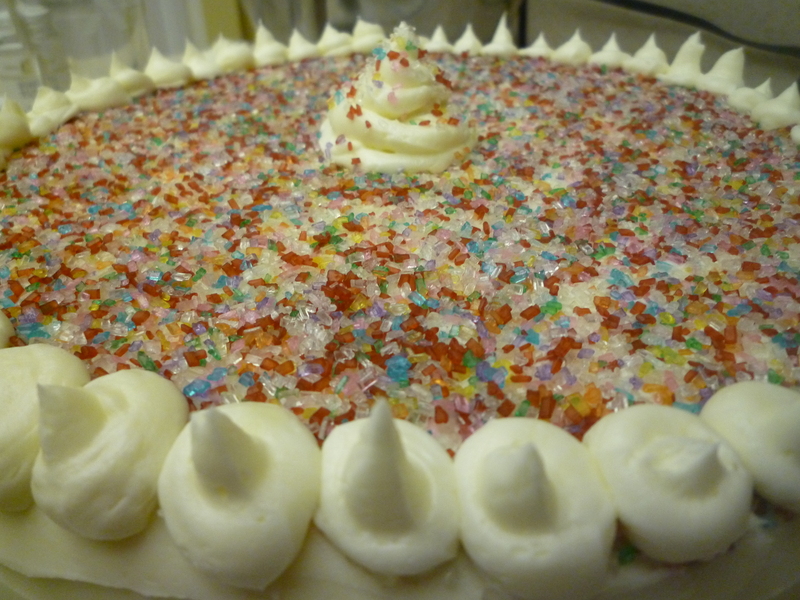 Who here liked Funfetti cake as a kid? 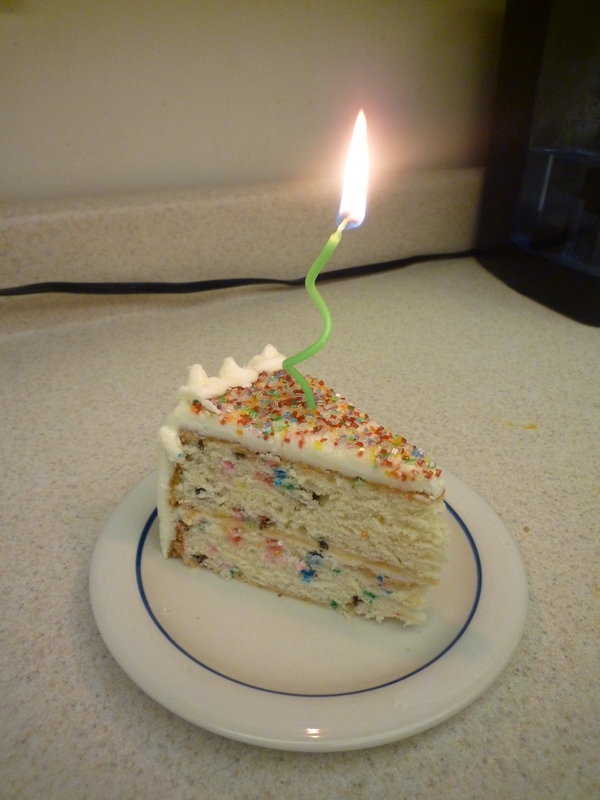 Okay, now who here still likes Funfetti cake as an adult? No shame in admitting it. There’s nothing quite like rainbow cake to bring some unanticipated cheer into our lives. And while that box of color speckled white cake is pretty tasty, the truth is that you can make it yourself with very little angst. This is what Joe requested for his birthday, and here’s how I put it all together. Grease and flour two 9 in. cake pans and preheat the oven to 350 degrees F.
In the bowl of a stand mixer, cream together the butter and 1 ¼ cups of sugar and beat until light and fluffy. This will take several minutes on medium speed. Mix in the vanilla and almond extracts and then add the dry ingredients in three additions, alternating with the milk until everything is combined. Transfer to a large mixing bowl. 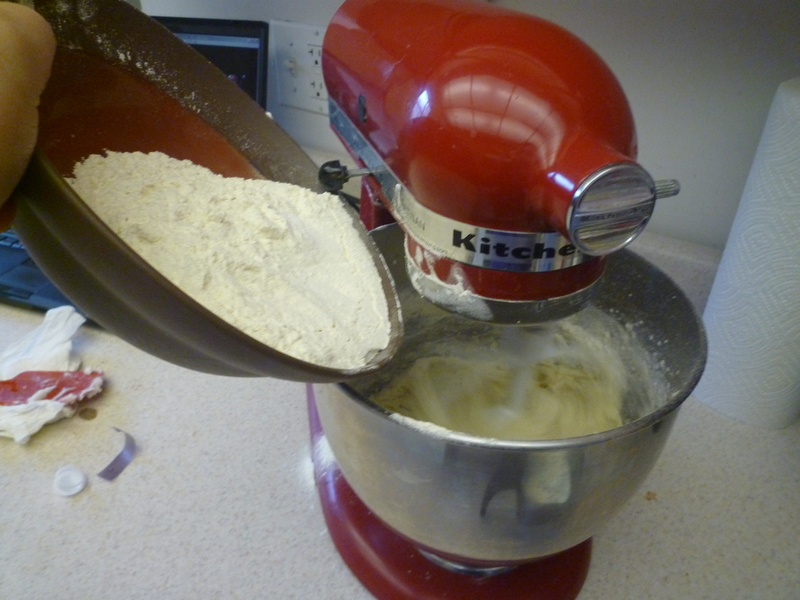 Clean and dry the stand-mixer bowl thoroughly and then add the egg whites and a pinch of salt to it. 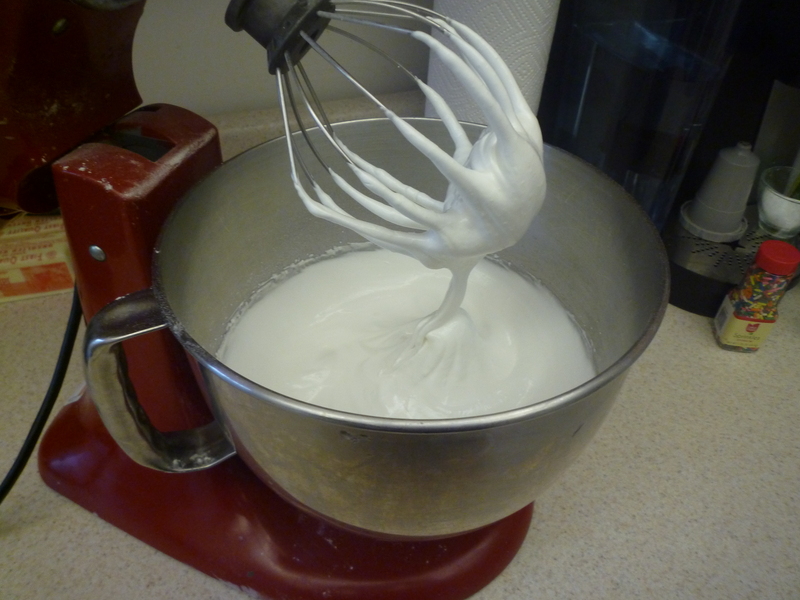 Whip on high speed until the egg whites are frothy and then very slowly add the remaining 1 ¼ cups of sugar. 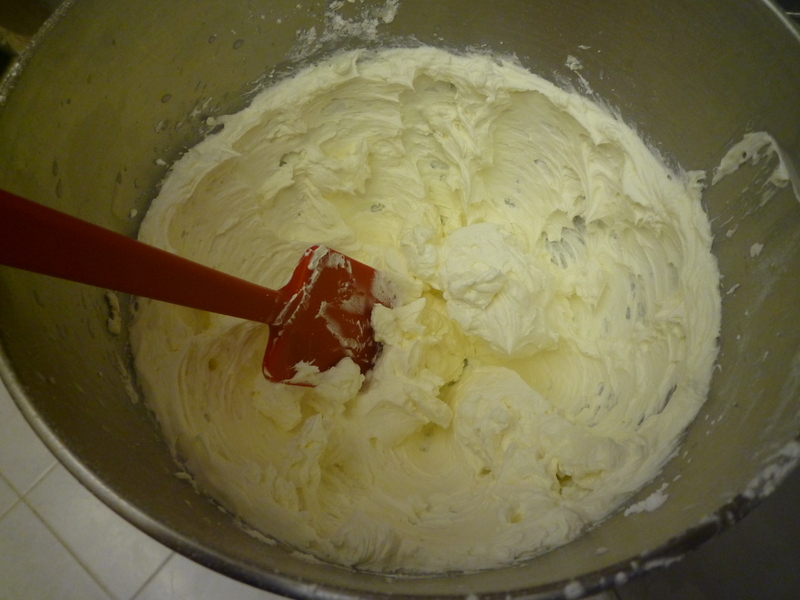 Whip until the meringue is thick, glossy, and holds almost stiff peaks. Fold one third of the egg whites into the batter to lighten it, and then gently fold in the rest. 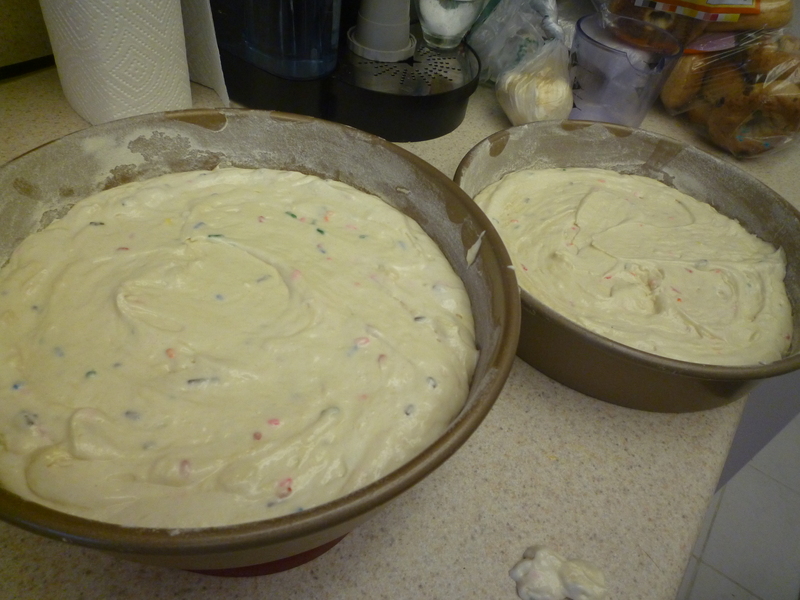 Add the colored sprinkles and fold them into the batter. Divide the batter evenly among the two pans and then gently tap the pans on the counter to release any air bubbles in the batter. Bake the cakes for 30-40 minutes or until the tops are lightly golden and a toothpick inserted in the center comes out clean. 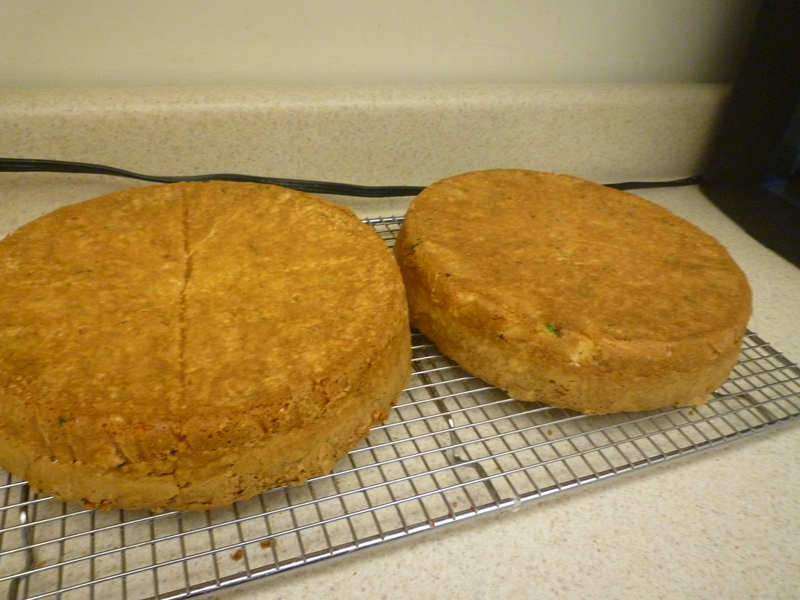 Allow the cakes to cool in the pans for 15 minutes and then turn them out onto a cooling rack. Let them cool completely before frosting. It is best to wrap the cooled cake layers in plastic wrap and refrigerate them overnight prior to frosting. 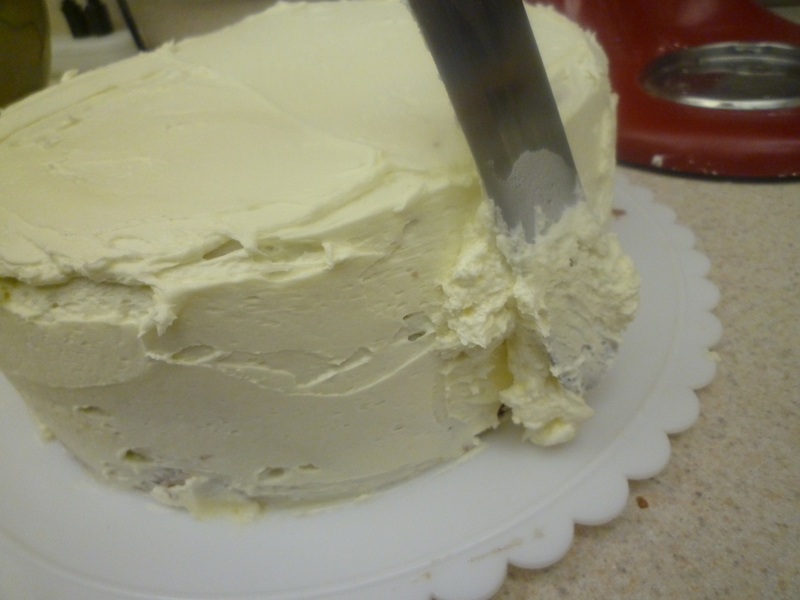 To make the buttercream, beat the butter on medium speed until very smooth and creamy. Add the powdered sugar and mix on low speed until the sugar and butter are combined, then add the vanilla extract, salt, and milk and beat on medium speed until thick. It will take about 3-4 minutes. Frost and decorate the cake as desired! 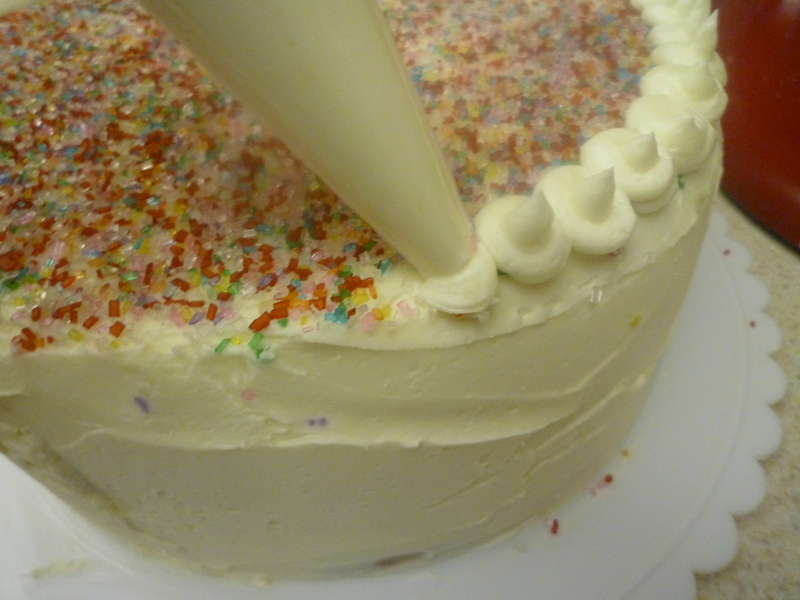 You will probably not use all of the icing, but it’s better to have extra for decorating. No one wants to run out in the middle of frosting a cake (which I did while testing variations of this recipe). So freaking good. 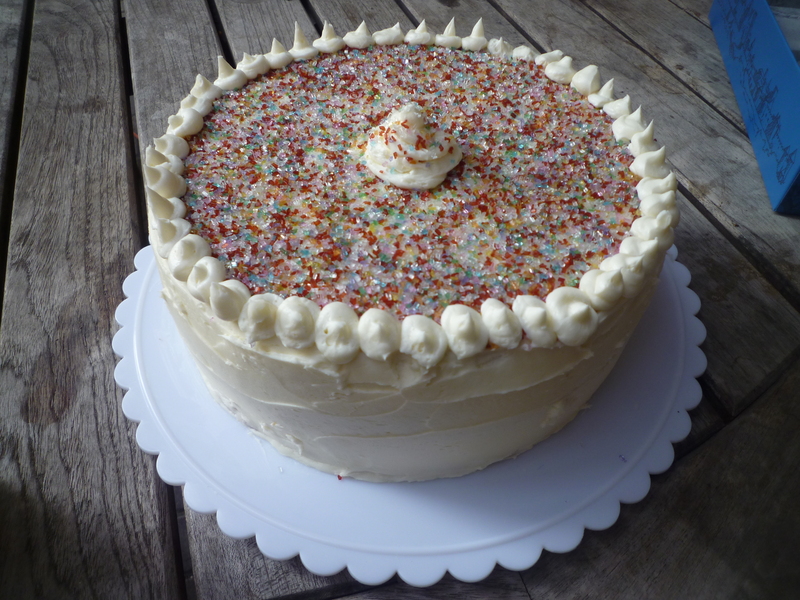 You can also use a Swiss Meringue Buttercream on this cake, which is a slightly more involved recipe. The upside is that it uses much less sugar and a little less butter without sacrificing consistency or taste. Place a large bowl over a pot of simmering water and add the egg whites and sugar to it. Whisk them together until the sugar is completely dissolved, meaning it does not feel grainy in the slightest. 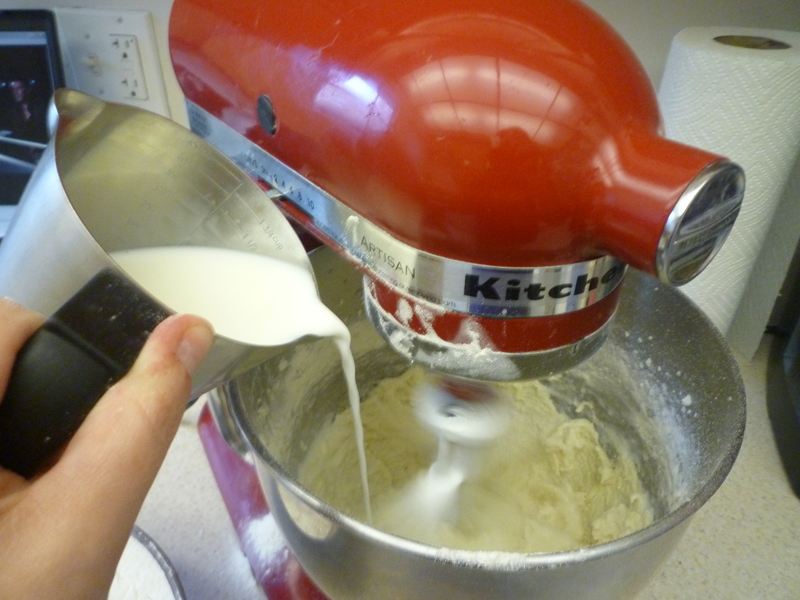 Transfer this to a stand mixer and whip until the meringue is white and doubles in volume. Add the vanilla and pinch of salt. With the mixer running, slowly add the butter, one or two pieces at a time, making sure the additions are thoroughly combined before adding more. Do not panic if the mixture starts to look like it is separating—trust me, it will come together. 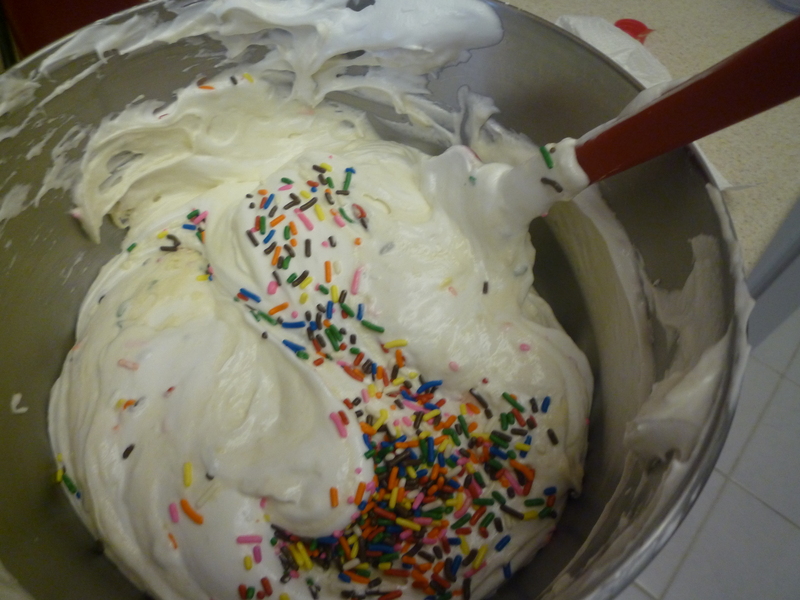 Once all of the butter has been added, whip the buttercream on medium-high speed until thick and creamy. It may take 5 minutes or maybe a little more, but it will come together. Scout’s honor. Both the quick buttercream and meringue buttercream will hold up at room temperature for an extended period of time, although the latter is more susceptible to condensation. So if you have a particularly humid refrigerator I would recommend using the first recipe. Happy birthday super-fiancé! I hope all of your wishes come true.